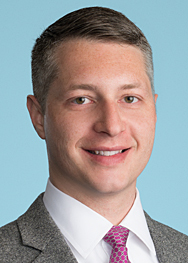 Under many insurance policies triggered by third-party claims (e.g., CGL and umbrella liability policies), insurance companies have a duty to defend—that is, a duty to pay the legal fees its policyholder (or an additional insured) incurs defending against that third-party action—or to indemnify the insured for the defense costs it incurs on its own behalf. Most often, the insurer or insured itself will hire outside counsel to handle the defense. But, when a corporate insured decides to handle its defense internally, a question becomes whether and how it can recover its defense costs from its insurance company. 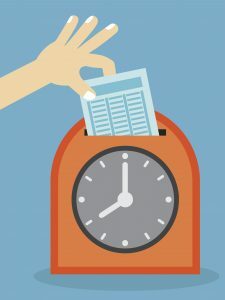 A popular method to prove up in-house fees (and, indeed, a traditional method for assessing fee awards in many instances) is the “lodestar” method, which involves multiplying the number of hours spent by a reasonable hourly billing rate taking into account factors such as geography, skill, experience and reputation. Some courts might even consider using a blended rate for partners and associates. To help evaluate what rates are reasonable, courts have looked to various publication surveys of billing rates (e.g., the National Law Journal’s annual survey of rates) and rates approved in comparable cases. Many courts require the party seeking fees to submit contemporaneous time records detailing the date and the number of hours worked and the nature of the services rendered. Because of this requirement, in-house legal departments that might be or are defending against a claim should put in place systems—like the electronic timekeeper systems used by most law firms—to contemporaneously document the date of their attorneys’ work, the amount of time spent on each task, and the nature of the work done. In the absence of an electronic system, in-house attorneys should at least keep detailed contemporaneous notes of their time and work that can later serve as the basis of the affidavit—with the understanding that those notes might be discoverable as the necessary back-up. By doing so, in-house legal departments will (1) ensure they are capturing all of the time they work on defense of covered cases and (2) fortify their submissions against objections from an insurance company contesting defense costs. So, back to the 0.1 lifestyle because six-minute increments are a good defense against an insurance company’s claim that the time you spent defending your company was unreasonable or unnecessary. How are you going to bill your time for reading this?